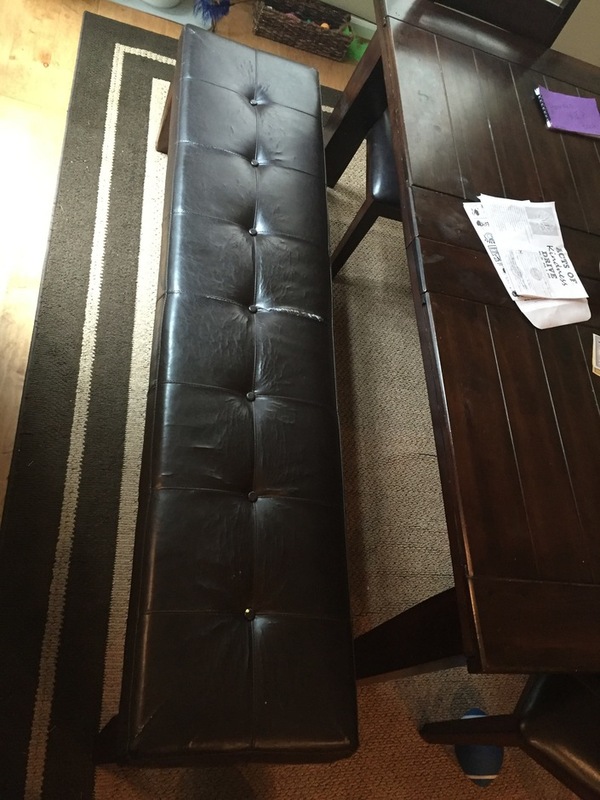 We are looking to get our bench reupholstered. 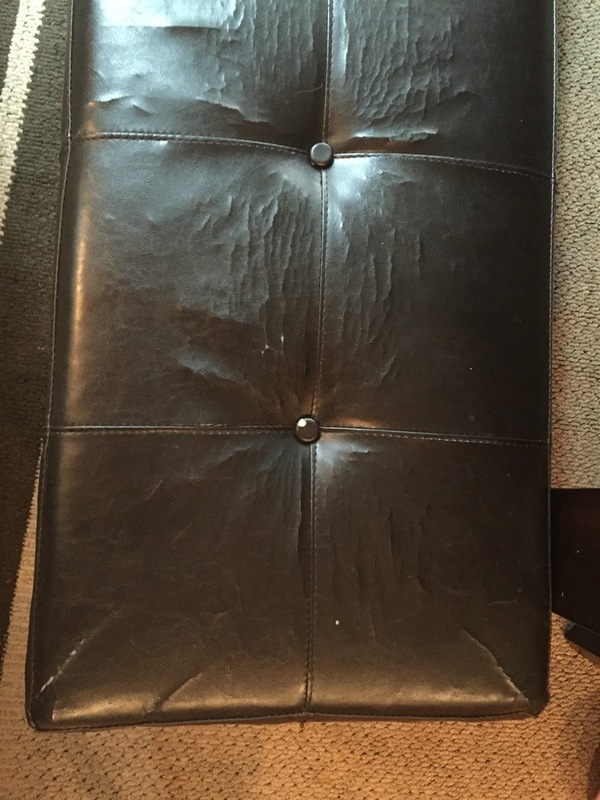 It currently is upholstered in an old vinyl material that is cracking. It does not have to be tufted if it increases the price a lot. The only real requirement is that the color remains close to the same and that it be either leather or vinyl (whichever is the most durable) so that kid spills are easy to clean up. You can contact me here with an estimate. Thank you! 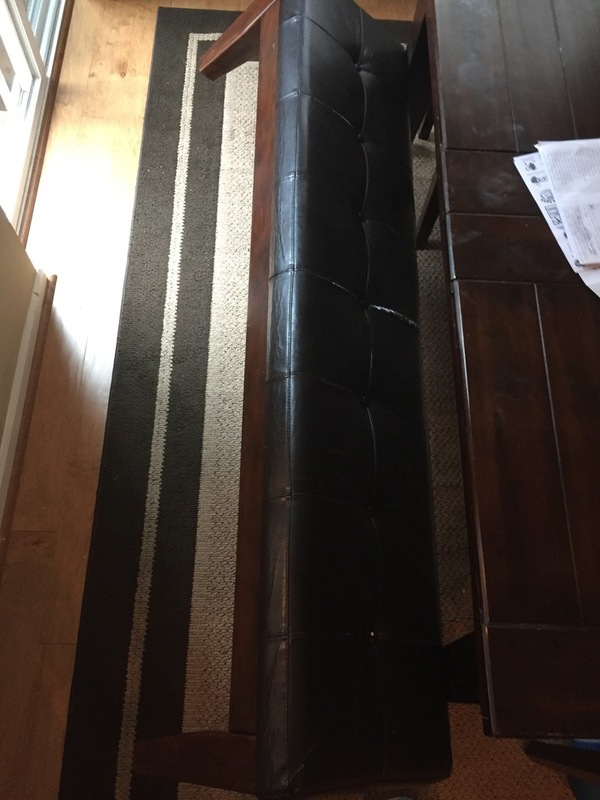 75.5" x 16.5" x 3.5"